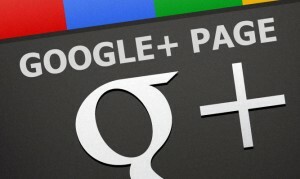 Home » Blog » Will Google+ be good for your Business? A lot of questions have been raised about the new Google Plus including Google+ for business. Google has recently launched its new feature for business through Google plus pages. A Google plus page is basically similar to a Facebook fan page where business owners can share their service and products online, and interact with their customers too. With the introduction of this feature, there is an expected increase of Google plus sign ups in the next coming months including entrepreneurs and customers alike. But is this new feature good enough for businesses to make an account in Google+? The answer is yes. Google+ is a social networking site, a venue where people connect, communicate, share ideas and meet new people who are potentials to become customers. Google also introduced the Google +1 button. This button is very powerful and does not necessarily equate the “like” button in other social media sites. This button is not only a recommendation from the user but it actually optimizes the post’s visibility not only to other people but in Google search as well. The system is intricate so the direct impact of the Google+1 button and SEO optimization is still a bit of a blur but there is definitely impact between the two. The more +1’s the post or the site receives, the more visibility it gets in Google search engine. This means that there are more users endorsing this site and other people should be able to see it too. This button is particularly important in businesses as it can optimize the business website’s SEO score and people will be able to find your product. Google Plus also has a step ahead compared to other social networking sites as it is directly connected to Google search, Gmail, and Google webmaster tools. Although most people think that Google is releasing this as a gimmick, it is a potentially good gimmick for entrepreneurs and business owners who can use Google as a platform for marketing.